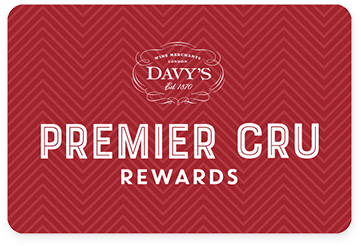 Premier Cru Rewards - Purchase this today and earn 129 points to redeem for free wine and gifts. Unnum is a true signature of both vineyard (Mendiguerra and La Loma) and vintage. The winemaking is adapted to the vintage condition and designed to respect and maintain the extraordinary characteristics of the vineyard. Aged in cask for 11 months in mostly French, oak barrels. Powerful, intense black fruits on the nose, spice and coffee notes are balanced by fresh mint and liquorice on the palate. Less than 6000 bottles are usually produced if the vintage allow it. Spanish red wine from Rioja Spain, made with Tempranillo. After a career in exporting wine, Miguel Merino realised his dream in 1990, creating his own winery. Starting with a restored farmhouse, he built a small vinification plant and barrel-ageing cellar. Miguel sources his grapes from small winemakers who owns some of the best plot near Briones, in the heart of Rioja Alta, and focus on the traditional grapes of Rioja; Tempranillo of course but also Mazuelo (or Carignan) only produced by a few winemakers as it requires a lot of hard work. View our selection. His obsession was to find the small and old vineyards that no one else wanted to work, designed to be tilled by horses and producing intense fruits with good structure in order to produce great wines. He has also planted an experimental vineyard and his aim is to constantly improve the quality of his wine. Miguel is passionate, charismatic and a treasure trove of knowledge about Rioja. He now owns and runs one of the smallest, youngest and most prestigious wineries in Spain. Only 40 000bt (approximately) are made each year.